‘Penningwerkplaats’ is a studio for Dutch medallists and their trainees. 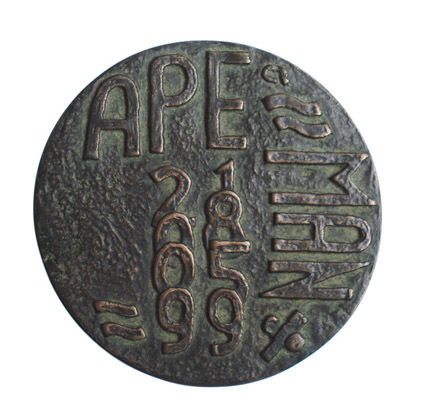 Estabished in Amsterdam in 2008 by medallist Lucie Nijland, it has now become a place for admirers of art medals. 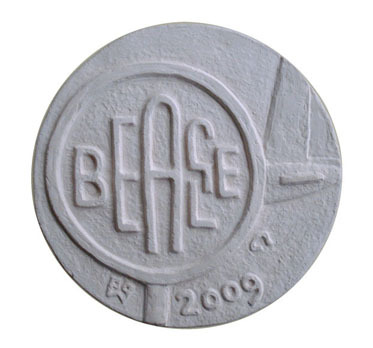 The main activity in the studio is designing medal art, including practices to become acquainted with various methods of designing and ways of reproduction. The professional interaction and good guidance, also for commissions that are worked out in the studio, reinforce the field of today’s Dutch medallic art. If you wish information in English about art medals / medal art in general, please visit medal-art.net . 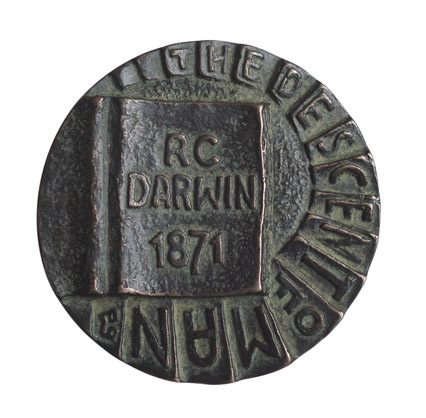 The Descent of Man, art medal issued to commemorate Darwin’s famous publication. 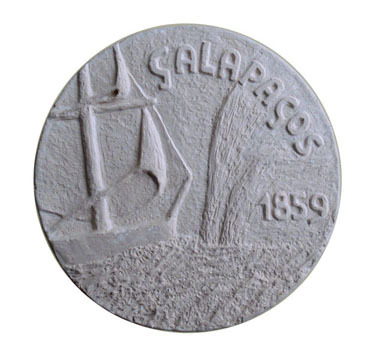 Galapagos 1859, art medal to commemorate the expedition of Charles Darwin in 1859 to these islands. 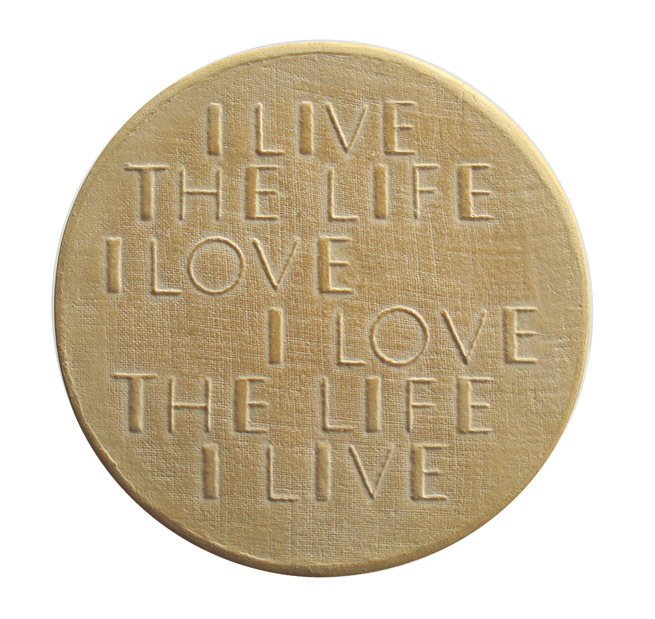 Portrait medals of the Dutch artist/designer Marte Röling at 70 years of age, 2009, 70 mm, terranova.